A new ZTE smartphone with the name Grand X 4 has go on sale in the United States exclusively on network carrier, Cricket Wireless. The device comes with attractive specs at a very ridiculous price. Starting with the display, the Grand X 4 features a 5.5-inch IPS capacitive touch display with HD (1280x720) resolution, and there is Corning Gorilla Glass 3 on top for protection. It is powered by a 64-bit quad-core Qualcomm Snapdragon 425 processor with a clock speed of 1.4GHz, slammed with 2GB of RAM and Adreno 308 GPU. A 16GB of inbuilt storage is included for offline hosting of apps, files and data, and there is a MicroSD slot onboard that serves as an external expandable storage with support of up to 64GB storage capacity. The ZTE Grand X 4 boots Android 6.0 Marshmallow out-of-the-box, it also packs a fingerprint scanner at the rear for smart security. In photography, it comes equipped with a 13-megapixel rear-facing camera with autofocus and single LED flash, while a 5-megapixel camera is placed at the front for taking selfie. The rear camera can record video in full-HD (1080p) and the front camera in HD (720p). Connectivity options included are Bluetooth 4.1, WiFi, 4G LTE Cat 4 (up to 150Mbps download speed), 3G, 2G, GPS/A-GPS, and USB Type-C. It is backed by a 3150mAh battery with fast charging. 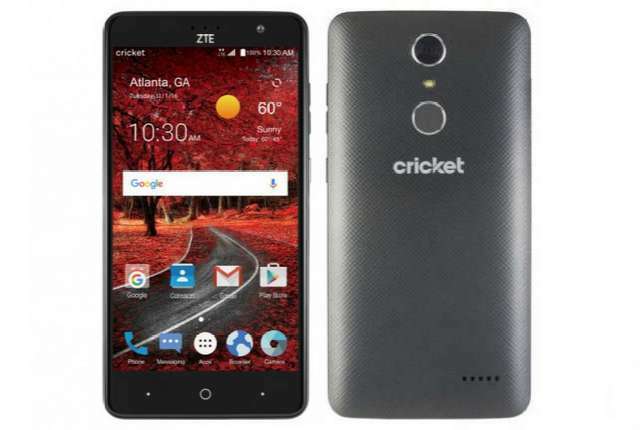 ZTE Grand X 4 is available on all Cricket Wireless online and offline retail stores across the country at an off-contract fee of $129.99.